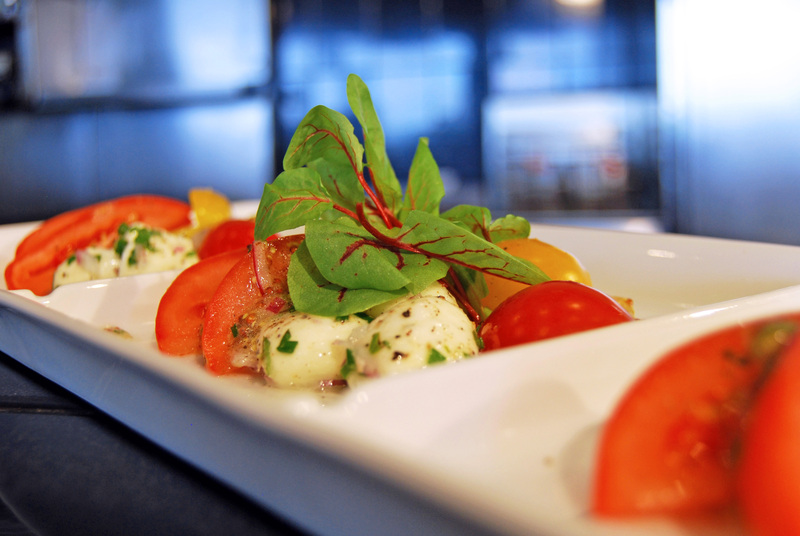 Light and refreshing with beautiful savoury flavours, Caprese Salad is a versatile summertime treat. 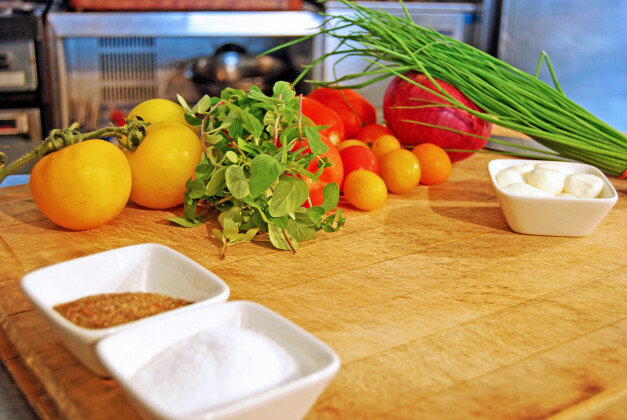 As fresh ingredients are absolutely key, the usual basil was substituted for oregano picked fresh from the chef’s garden in this recipe. 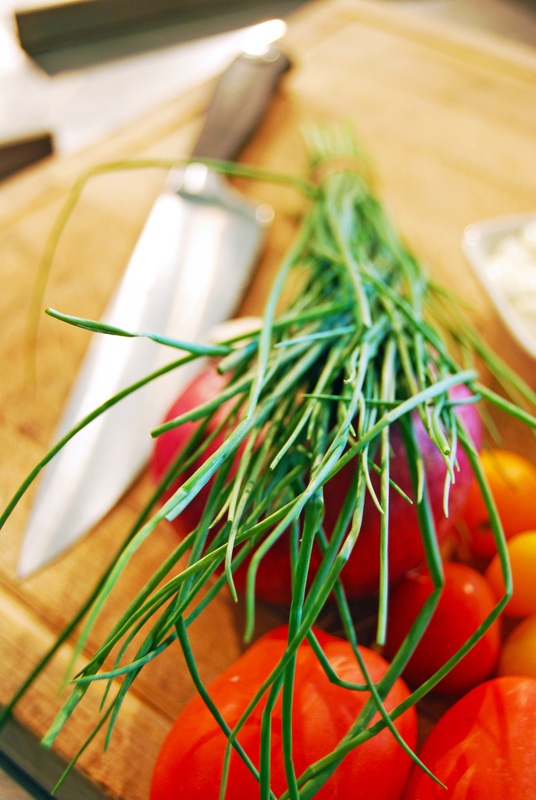 Although it looks complicated, it’s really quite simple to prepare – just a little chopping required. No need to let your guests in on how easy this is to prepare, though, just go ahead and impress them! Place Bocconcini in a bowl. Sprinkle with salt, five pepper mix, chives and red onions. Drizzle with shallot oil and stir. Let sit to marinate while you prepare the rest of the salad. 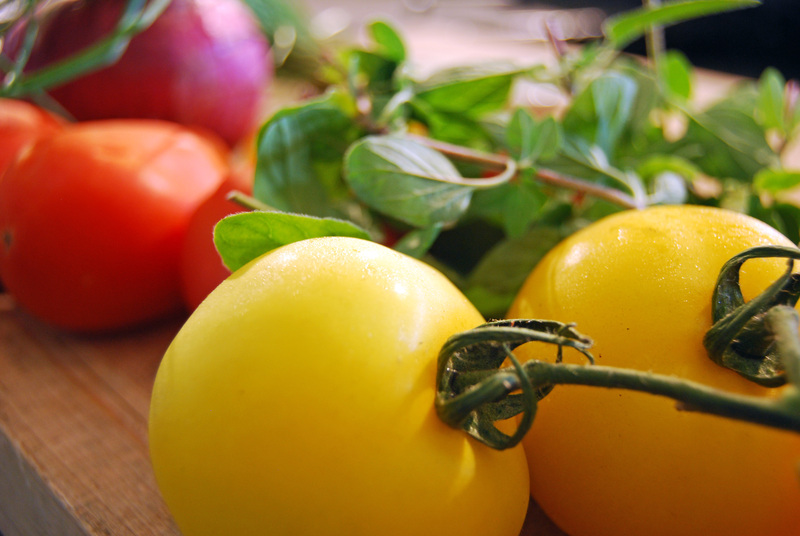 Slice tomatoes in half and then use a paring knife to take out the green core. 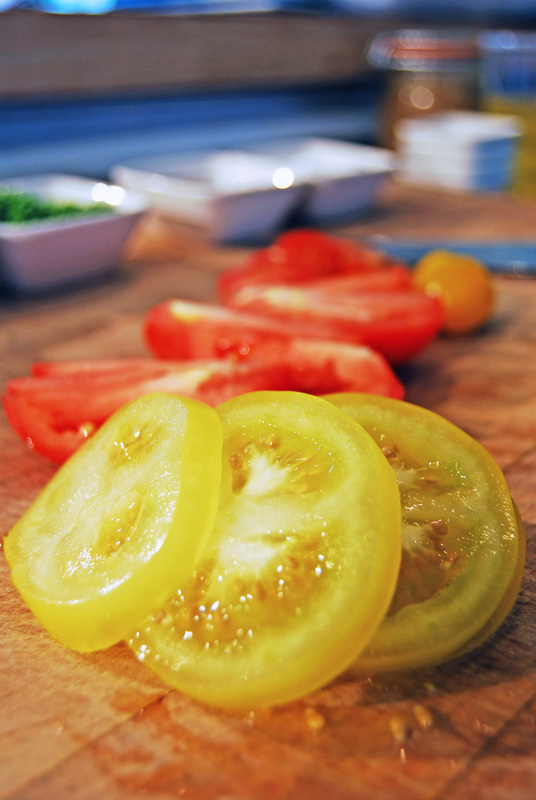 Cut the tomatoes into thick slices (try different shapes for more visual interest). Set aside. 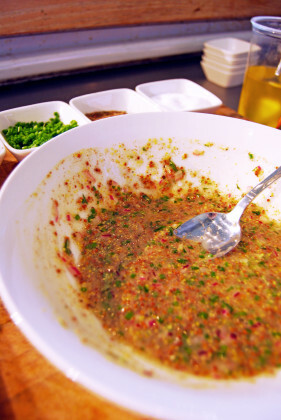 Put mustard, five pepper mix, salt, chives, oregano and red onion in a bowl. Squeeze in juice from lemon. 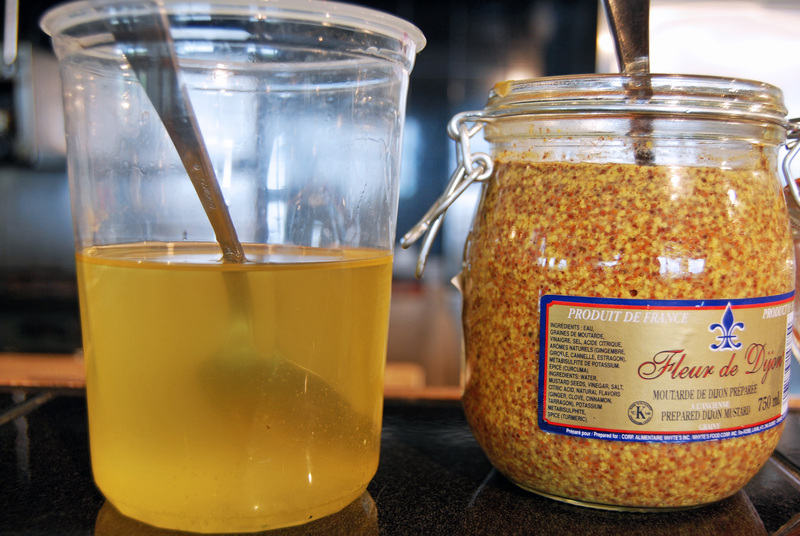 Add shallot oil, a bit at a time, as you whisk ingredients together. 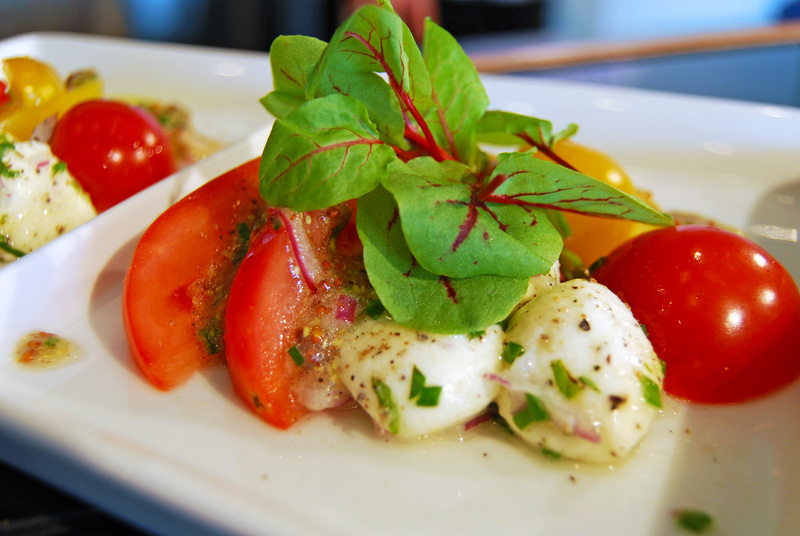 Lay tomatoes on plate; add marinated Bocconcini. Season with black pepper and sea salt to taste and drizzle with dressing. Garnish with a few sorrel sprouts. 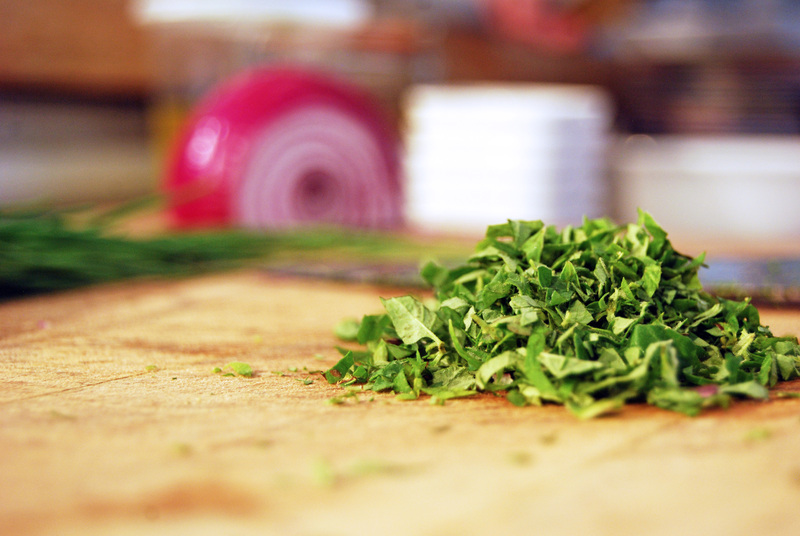 In this recipe, fresh basil was replaced with fresh oregano from the chef’s garden. 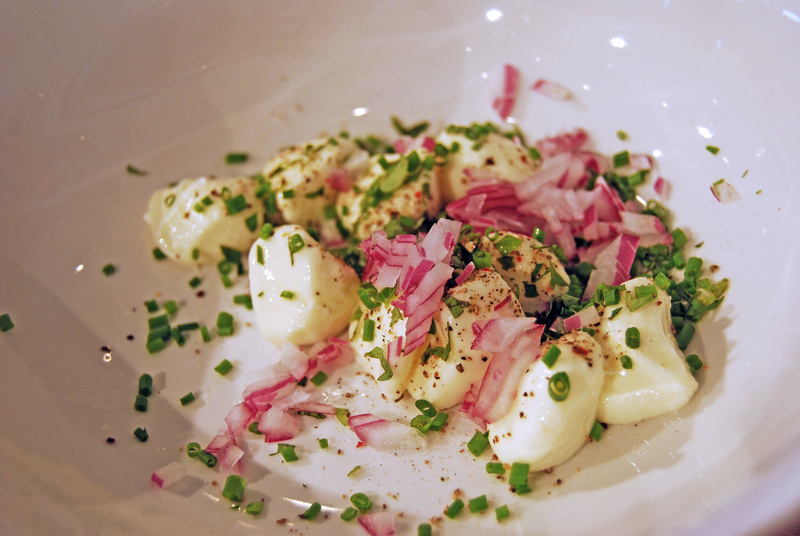 Other easy substitutes are buffalo mozzarella for the Bocconcini and extra virgin olive oil for the shallot oil. This recipe is featured in the Spring 2014 issue of Boats&Places.